Reduced activity, low fees and tax efficiency are reasons given for why passive investing is low-cost for the investor. This logic is wrong. Those are reasons why passive investing is low-cost for the fund management company. The reason those cost-savings get passed to the investor is because the product is standardised by virtue of tracking a standard, named index like the S&P 500, and multiple companies compete to provide the same product. Without competition, there’s no reason for an ETF to be low-cost. Companies offering unique ETFs have no directly, easily comparable competition, and you should not expect them to be as efficient as SPY, IVV and VOO are. The quarterly standard deviation of unleveraged housing returns is 3.4 percent, which is 6.8 percent annualized. With a 20% downpayment, that’s a 34% stdev. The SP500 has a standard deviation of around 20%, so to get the same amount of risk I want to be 1.7x leveraged. R’s ggplot2 has the most elegant graph API that I know. This article by Hadley Wickham himself is a great introduction to some of the ideas underlying The Grammar of Graphics that he implemented. I think it contains a lot of great ideas for API design. Passive investing is a way to make different fund managers compete with each other by forcing them to offer the same product. That competition lowers management fees for the customer. Unfortunately, the predictability of passive funds also makes them targets for other players in the market. On one hand you have actively managed funds that are opaque and difficult for the consumer to monitor, and that charge high management fees which have to be balanced against their difficult-to-monitor performance. On the other hand, you have a low management fee passive fund which loses money to other market participants in an open market. Seen this way, passive funds are still a better deal for consumers because it’s difficult to imagine anyone making an outsized profit without facing competition and having those profits be competed away / shared with the consumer. Spent way too long discovering this. Was the 2015-2016 flu vaccine spot-on? Does this mean they got it completely right this year (for Taiwan at least)? 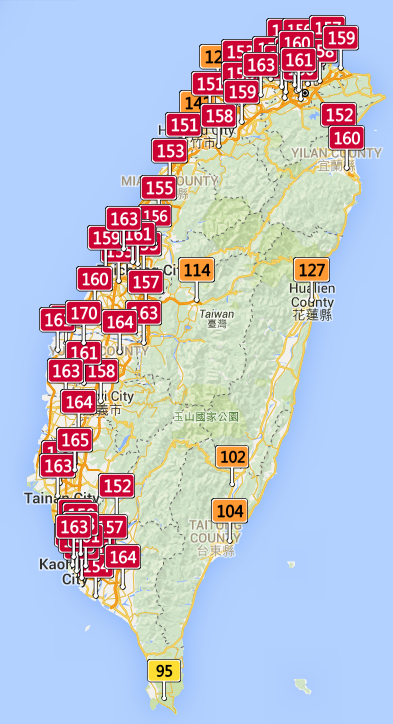 Where does Taiwanese air pollution come from? 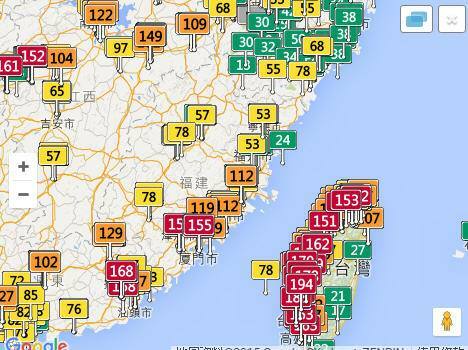 Conclusion: The pollution now (December) is from China, the pollution in November was locally generated. If I had all the historical data in a csv, could probably do a better analysis than two snapshots, if anyone could point me to a source I’d be happy to do that. What parts of Deep Learning are modern? Conclusion: outside of a very brief period in which pre-training with Unsupervised Learning was shown to be helpful, Deep Learning has largely been about hardware brute force, and learning how to use brute force to solve problems.